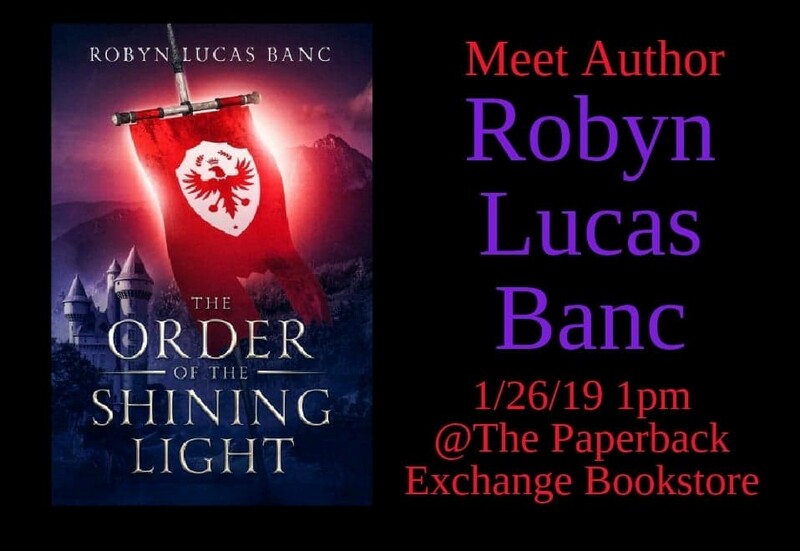 Meet Author, Robyn Lucas Banc, on Saturday,January 26th, 2019 at 1pm!! Robyn Lucas Banc is a first-time author and is looking to make his presence felt in the literature word as he looks into the history of Europe and gives a fictitious narration of the stories that surround the events that happened in Europe in the 1700s. The historical fiction novel titled The Order of the Shining Light is the first of its kind not only from the author but probably in the world of literature as a whole. Europe remains one of the most powerful continents in the world with its rich history and heritage dating as far back as tens of centuries ago. While several novels and history books have tried to say one or two things about the history of Europe, it can be rightly argued that it is almost impossible for anyone to give an accurate account of the happenings in and around Europe tens of centuries ago. However, Robyn is taking a rather unconventional and interesting perspective into the history of Europe as a continent and a people with the release of his debut book. The Order of the Shining Light tells the story of how a family is torn apart by a series of events including darkness spreading over the English, which subsequently leads to several happenings. The book chronicles how old grudges spark, which led to the flames of a war hidden from the world reigniting. The book also talks about how to sons had to embark on an adventure within the Order of the Shining Light to find their kidnapped mother and sibling, while also avenging the death of their father. Set in the 1700s, the book is an interesting look at the history of Europe in a way that has never been done. The paperback version of The Order of the Shining Light is currently available on Amazon with the independently published book available to the world to read. Check out the youtube preview video here!! We hope to see you at the bookstore 1/26/19 1p-4p!! !